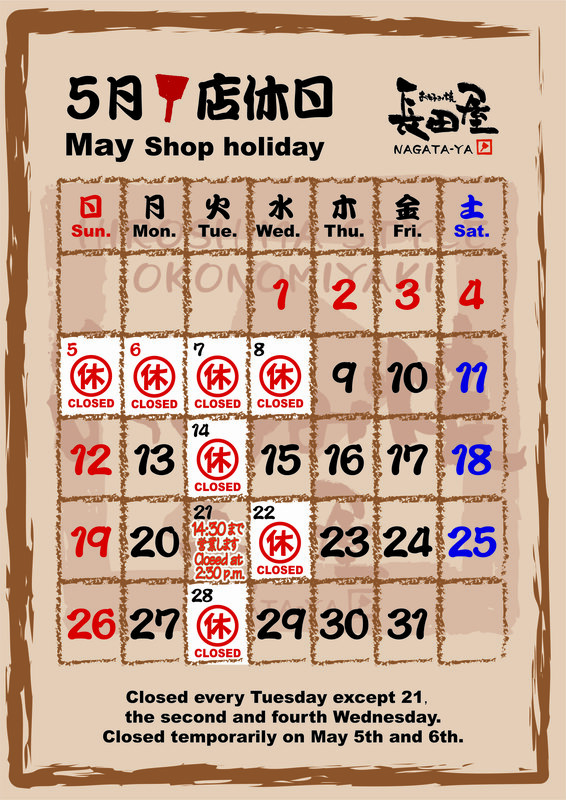 We will be closed on May 5~8, 14, 22, 28. And we will be closed at 2:30 p.m. (L.O.) on May 21 Tuesday, thank you. 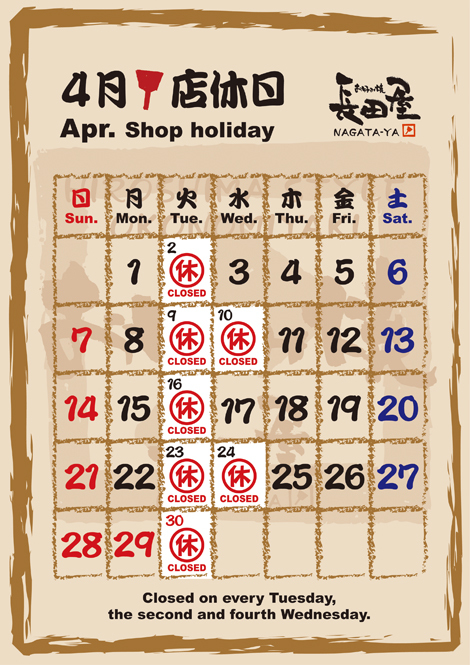 We will be closed every tuesday, the 2nd and 4th Wednesday in April. 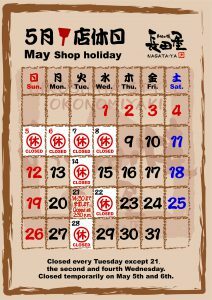 And we will take days off on May 5 and 6 temporarily, 7th and 8th fall on Tuesday and the 2nd Wednesday. 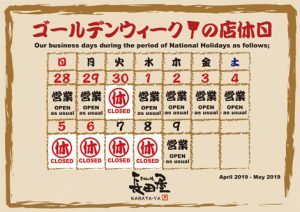 So it will be 4-day holiday, thank you. Every Tuesday, the second and fourth Wednesday from March. We would appreciate your continued support! We will be closed on every Tuesday and the 4th Wednesday as usual, thank you! 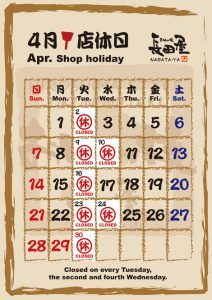 We have just closed for year end/new year holiday and will reopen on Jan. 4th. We thank you for your continued support and we are looking forward to welcoming you. Happy holidays! 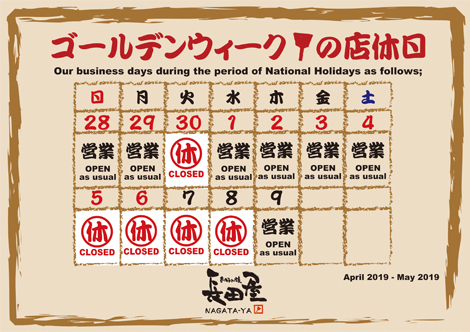 We will be closed on Jan 1st, 2nd, and 3rd for New Year Holiday, every Tuesday and the 4th Wednesday, thank you! Last call is at 3 pm on Dec. 29th, thank you. We will be closed on every Tuesday, 12th temporarily, and 30,31 for New Year Holiday. And we will take Last Order at 15:00 on 29th, thank you! We are so sorry but we will be closed tomorrow（9/30 Sun.) because of the approaching a typhoon.